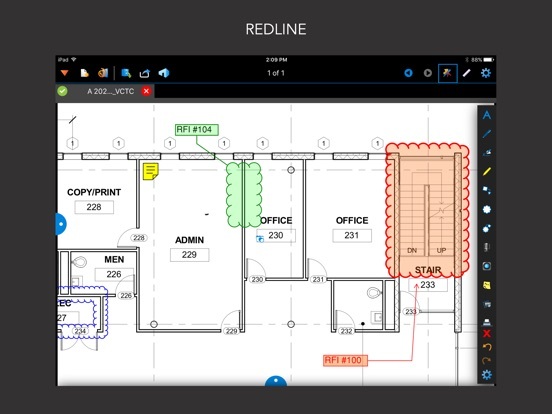 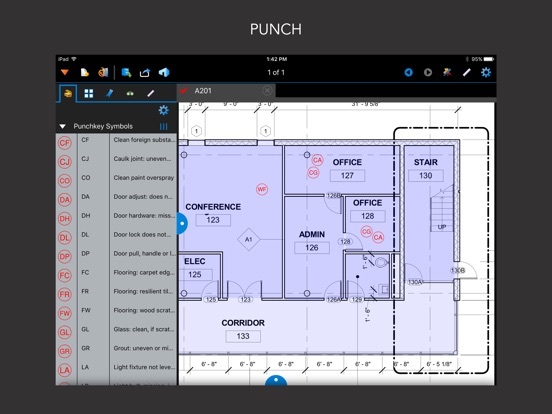 Bluebeam® Revu® for iPad lets you work without limits from anywhere. 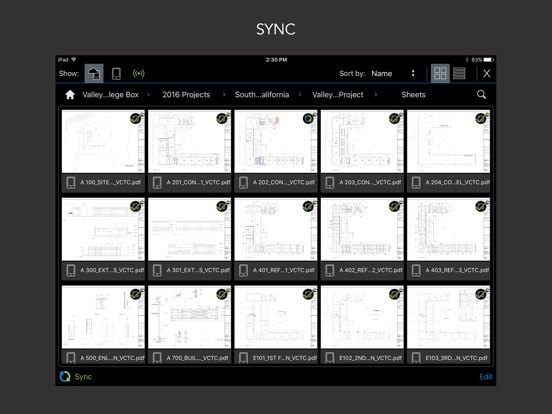 Access and navigate PDFs on the go. 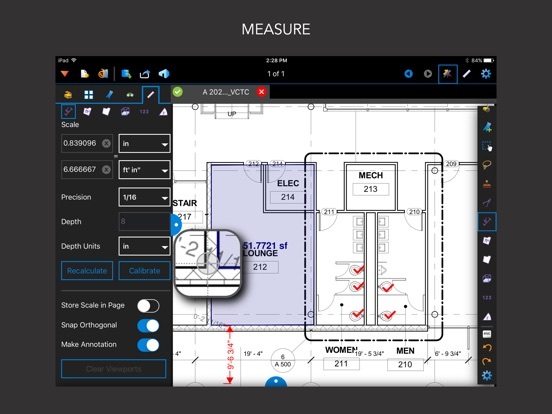 Markup PDFs with industry-standard symbols in the field, and verify measurements on the fly. 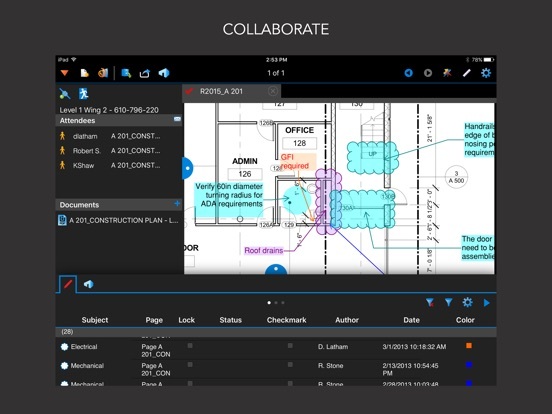 Collaborate with colleagues in real time using Revu’s cloud-based solution, Bluebeam Studio™, which instantly renders large format single sheet PDFs so productivity isn’t compromised. 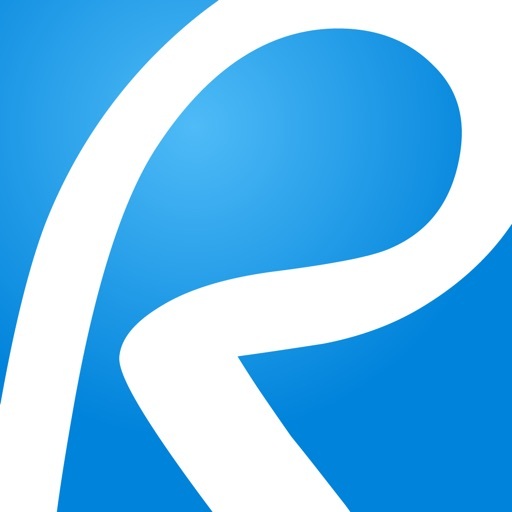 All it takes is a tap and swipe to experience the difference.